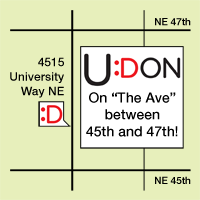 Our second U:Don restaurant will be celebrating its Grand Opening at its Capitol Hill location near 12th Ave and E Pine Street, beginning Thursday, April 30th! The new location will have an expanded menu that includes new and unique udon noodle styles and side items, along with all our signature and most popular dishes served at our flagship U-District restaurant. That includes — wait for it — beer and sake, perfect complements to a filling udon meal at lunchtime, dinner, or late at night! 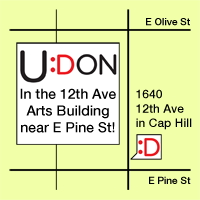 Find the new U:Don in the new 12th Avenue Arts building, and after your meal take a few steps for a local theater production. The neighborhood is expanding rapidly, so there will always be something to do before or after your bowl of udon. Restaurant hours will be Monday-Saturday 11:30am – 10:00pm, and Sunday 11:30am – 9:30pm. Come celebrate the best new reason to visit Capitol Hill! U:Don! 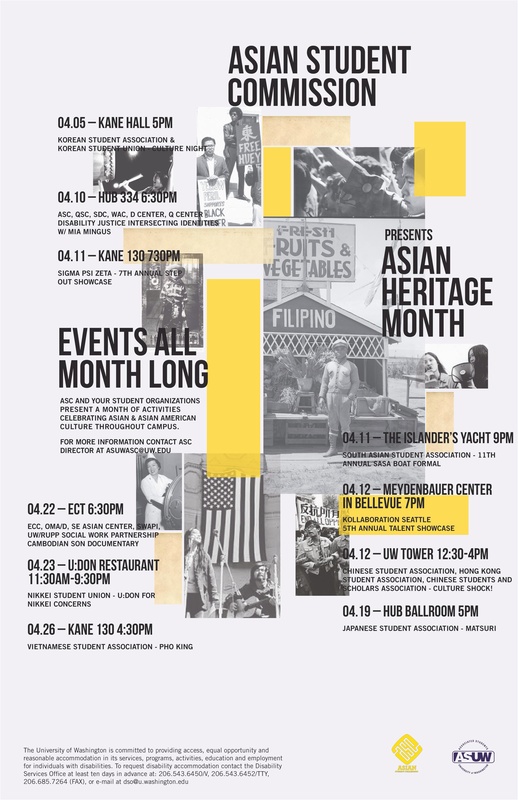 In coordination with the Asian Student Commission of the University of Washington, U:Don is proud to help support the celebration of Asian Heritage Month, by donating 25% of our sales from voucher holders on Wednesday, April 23rd. This is a great way to help bring the the UW community more amazing cultural programs. Check out the flyer to see what’s happening, and don’t forget to visit us on 4/23!